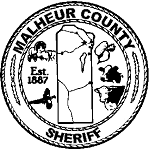 The Criminal Division of the Malheur County Sheriff’s Office is comprised of several units of operation. Those units include Patrol, Marine, SERT (Sheriff’s Emergency Response Team), and Investigations. The Malheur County Sheriff’s Search and Rescue Unit is coordinated through the Criminal Division as well. Many of these units overlap in responsibility and function. Many of our Deputies that fill certain positions in one unit, also fill positions in other units. Our Marine Deputies may supplement our Search and Rescue Unit. Our Emergency Response Team may supplement our Investigations Unit. Deputies from each of the units mentioned make up our Emergency Response Team. The Criminal Division is supervised by three Sergeants that divide up all the duties of those various units. The Undersheriff currently acts as the Department Head for the Criminal Division.